More Disneyland Savings to Chose From! Come out to California they said, They said it would be awesome… Well they were right! Get out to Southern California to the original Disney park that has been going strong since 1955. 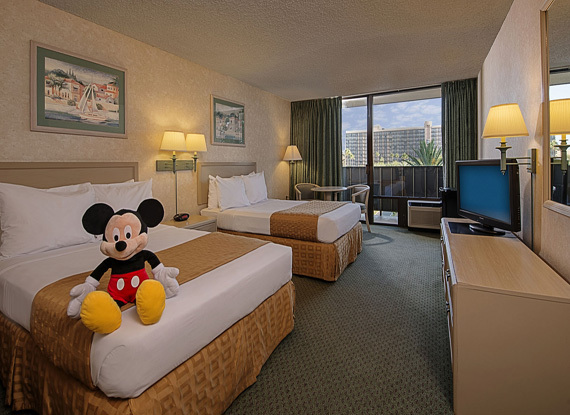 You can get into a great Good Neighbor Hotel at Disneyland for a 3 Night/4 Day Vacation for a family of 4 for a starting price of $89 per person per day! What? I know right? That’s a great value!! This deal is available for most nights 9/19 to 10/9 and again 11/2 to 11/20 2014. Offer is of course subject to availability and blackout dates. Travel must be completed by November 21, 2014. Don’t forget of our other Disneyland Offer that’s out, with the Free Limited Edition “Nightmare Before Christmas” Vinylmation. You have your choice of promotions! Sorry we can’t combine them though. This year and into next year is the time to truly consider visiting Disneyland. We have the 60th Anniversary of Disneyland, D23 Expo in August of Next year (with discounted room rates) and so much more, this could be another year of dream making for you and your family. When Daniel isn’t sharing Planning Tips about Disney Cruises, Disneyland, Aulani, and other Destinations, he can be found either wishing he was at Disneyland or planning his and other’s Disney Vacations. Sometimes you can find him dreaming of which character he’ll be for Halloween too. Contact him or Request a Quote on the right side of the ChipandCo Page.